Stage directions: Enter, sit, pour tea, stand, exit. That's about it. But in the 90 minutes it takes to execute that simple blocking our attention did not waver for a second. Of course it didn't hurt that the script was based on the writings of C.S. Lewis, one of the most brilliant minds of any generation, not to mention one of the funniest! The first Christian book David Payne read was The Screwtape Letters, which led to him becoming a Christian. At a breakfast where he spoke on Wednesday he said that after losing a great deal in the business world, "I learned so many more things through failure than I did through success." At 55 he was back in business, and things were going so well he was looking for a diversion. He was working in Nashville and saw a casting call for Shadowlands, and though he'd never acted before he landed the lead role of C.S. Lewis. Douglas Gresham, Lewis' stepson, was in the audience opening night, and the way was opened for Payne to do two different one-man plays about Clive Staples, or Jacksie, as the play reveals he called himself at the age of four. Naming himself after the family dog who had just died seemed better than facing life with his birth name. Payne was asked why his performance of "A Grief Observed," the first of his one-man plays, has been so successful, given the theme of grief. He said Lewis found that celebrating his marriage to Joy was more healing than mourning her death. Payne believes that comes through in the play. A quick search of the internet confirmed that I've probably never seen video footage of Lewis, but Payne, a genteel Brit, made me feel as if it truly was an evening with the Oxford don himself. 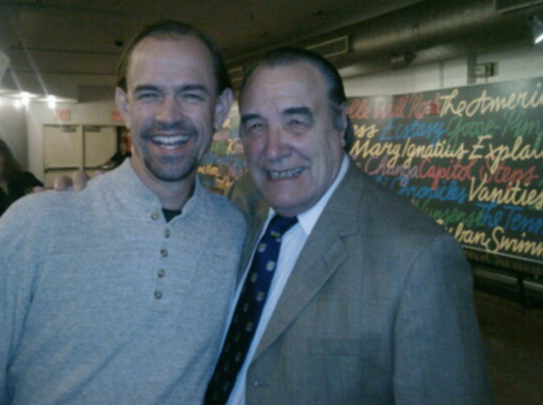 I had told him at the Wednesday breakfast that I saw his performances (probably all of them) at The Lamb's Theatre shortly after I arrived in NYC 20 years ago. I mentioned that his was the third one-man play I'd ever seen and was one of the ways the Lord wooed me into a career performing one-man plays myself. Last night when he told me he'd mentioned me to his wife my brain did some gymnastics I didn't fully grasp until later: In a nano-second I thought, "You just told us Joy died. Wait! You died! 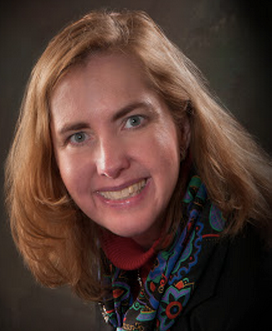 Oh, no you only portrayed C.S. Lewis. Your wife is alive!" The play was that fully captivating. 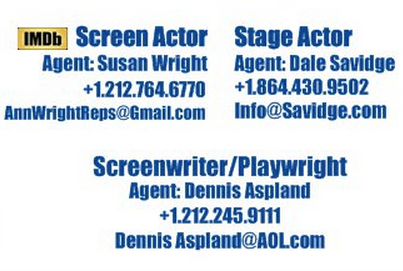 He's planning a short run of Off-Broadway performances either next fall or the spring of 2015. If you're anywhere near NYC (or Chicago for that matter since he's doing a stint there soon or anywhere really because he might get to you some day) I recommend signing up for his Facebook, YouTube and blog feeds at www.DavidPayneDrama.com. Pastor Joyce Swingle preaches on Romans 11:16-24. Opening by Bill H. Prayer and announcements by Pastor Linda Warren. This is the second part of this section addressing the importance of Judaism in Christianity. You can also listen to the first part here: Romans 11:7-15. 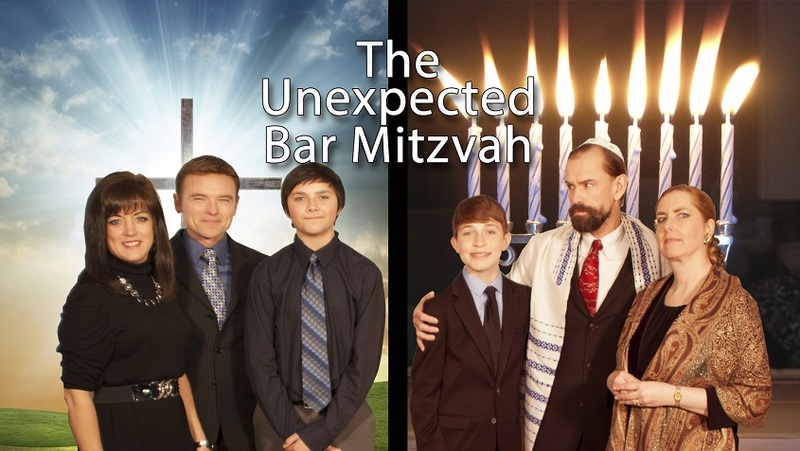 The Swingles will host a screening of The Unexpected Bar Mitzvah in their home on October 5. They play Micah and Hava Maslow, a conservative Jewish couple whose son becomes a Christian. Today's service is available for download free on iTunes, where you can also subscribe to our podcast. Search for "Westchester Chapel" on the iTunes Store. Several months ago I was coaching a gentleman who helped install 3,000 of these flags in Battery Park on the 10th anniversary of 9/11. The red and blue rows on each flag are made up of all the names of those who were killed on 9/11. 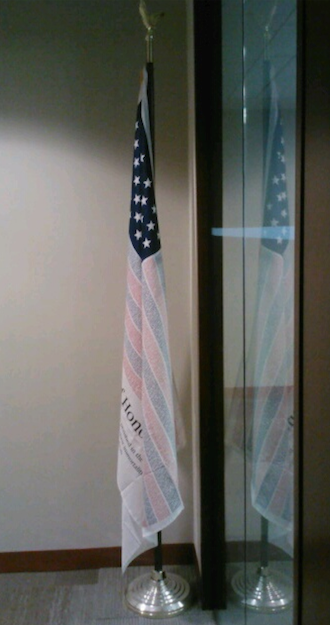 When he heard about my play, Five Bells for 9/11, he gave me one of the flags to display at performances. Here's an article on the field of flags: 3,000 Flags to Fill Battery Park for Sept. 11 Anniversary. Pastor Joyce Swingle preached on Romans 11:7-15. 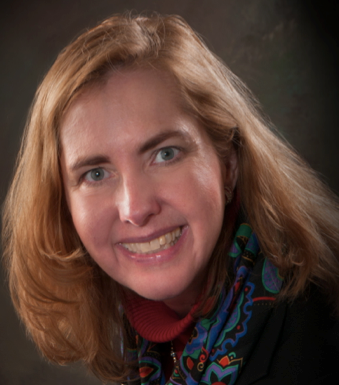 There was a technical error that corrupted the recording, so she preached it again for online listeners. Penn Jillette: "How much do you have to hate somebody not to proselytize?" Grooveshark is a third party source. If you listen on their website you will encounter advertisements, none of which are vetted or endorsed by Westchester Chapel. We encourage you to click Settings, then Preferences, then check the box for "Only show me family-friendly themes." If there are still ads that you find offensive we encourage you to click the "Report Ad" link below the ad. Photo courtesy of NicolettiPhoto.com. I was sobbing, touched in the deep places of my soul by The Identical. 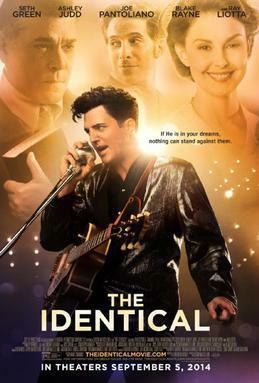 It's a brilliant picture of the search for identity that can only be found in the Lord, inspired by the stillborn twin brother of Elvis Presley. It's a look at what might have happened if that twin was raised by another family. The writing, acting, cinematography, art design was all top shelf. Ray Liotta, who also executive produced, played the adoptive father of the main character and turned in a tour de force performance. I couldn't believe it when I saw that Blake Rayne, who plays the title role, has never performed in a film before. What a breakout! So why is secular press dismissing this gem? Joyce thinks it's because their hearts are hardened. Their souls can't feel a thing. If this film had a secular message it would be touted as the next Forrest Gump. I'm pretty sure, as souls are stirred, the word is going to get out, and this will be the sixth Christian film of 2014 to break the $10M mark at the box office. We've been praying for a friend in a Private Message who is going through a very dark time right now. I was blown away when she asked us for prayer requests! It prompted me to write the following: I was in high school when my Grandma Miller said the Lord told her to get her things in order. I had NO CLUE what that meant. My high school mind thought she was disorganized like me! But within a year she was diagnosed with pancreatic cancer and died within three months (1988). She was so completely at peace with the Lord through the whole process everyone in her wing of the hospital was ministered to profoundly.